If you are the average American, you have at least one Apple product, and if it’s not Apple then it’s Samsung. There is no fighting that these are the biggest tech brands in the mobile market today. They’ve obviously earned both of their places in the competitive market. The only drawback is that since they are so big, many of the other brands who offer products that offer the same features and functions as the devices of the two top dogs get pushed under the rug. It’s always hard to see a brand that you do love and support not get nearly enough recognition. Some of us actually do enjoy products that don’t come from Apple. Take Sony for example. When that name comes to mind, it’s usually accompanied by TV or Playstation. 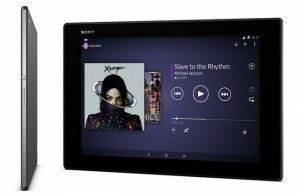 Sony does offer tablets much like that of its larger competitors. 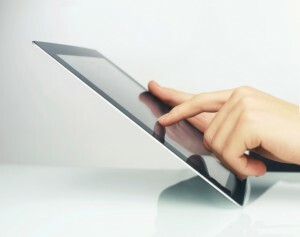 Some of their tablets even have features that don’t come with products like the iPad. The new Sony Xperia Z2 Tablet might not be the trendiest tablet, but that’s all because of popularity contests. No matter how you slice it, Apple and it’s products have become more of a fashion statement than anything. If you don’t have an Apple product, you “may as well be stuck in the stone age” as some of the younger generation might say. 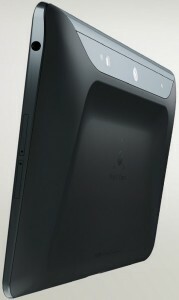 With that being said, Sony’s Xperia has a few things that could give Apple and it’s iPad a run for their money. First off, lets look at what’s inside the Z2 tablet. Right off the bat, you’re going to find that the device is running off of the latest Android OS, a.k.a. 4.4.2 KitKat. This is already a step up from the Z1. Next comes the processing power. The 2.3GHz quad-core Qualcomm Snapdragon 801 processor is gonna make sure that you can do pretty much anything on this tablet. Anything that you may have in mind that you want to work on on this tablet? This processor is gonna make sure you can do it. 3GB of RAM are a nice addition to go along with the 10.1 inch Full HD display screen. Yes, the iPad Air still has a bit of an edge in terms of pixels with its 2,048 x 1,536 pixel resolution, but that should be hardly noticeable. The Z2 sits at 224 pixels per inch and the iPad Air goes at 264 pixels per inch. Not really enough to make a huge difference. Did I happen to mention that this particular tablet is on 6.4 mm thick? You might as well be holding a brochure in your hands when you hold this thing. However, due to it’s thin design and extreme lightweight, it does seem a bit fragile as it does tend to flex a bit. Never a good thing when it comes to things that aren’t necessarily supposed to bend. Even so, the thin design does make it look incredibly sleek. The kicker with this bad boy? Waterproof. That’s right. If you are like me and prone to accidents involving spilling food or liquid near you precious, precious tech, this helps you cast any worries of that aside. Feel free to take this tablet into the kitchen, place it next to the sink, and keep watching Netflix while you scrub the dishes. No need to worry about it getting messed up. In case you were wondering, the iPad Air ISN’T water proof. There isn’t any price set for the new Xperia Z2 tablet, but we should expect to see one soon. 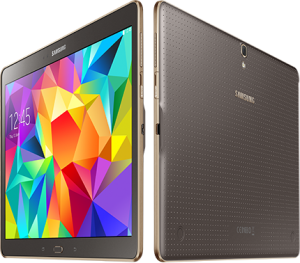 If you want to test the waters with a powerful tablet to make comparisons and see if it’s worth your money, go ahead and rent one. Trying before you buy is never a bad financial call. 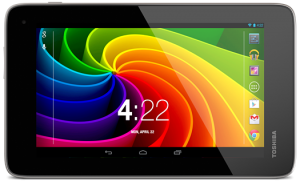 This particular Acer tablet may be just the very thing for those of us, both young and old, who may want to get into tablets but just don’t see a reason to or may not be very good at working them. If you crack this tablet open, you find some pretty basic hardware, at least by today’s standards involving other tablets. 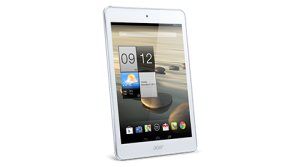 This specific Acer Iconia model works with a 1.6GHZ Intel Atom duel-core Z2560 processor and a duel-core PowerVR SGX graphics processor unit. It only holds about 1GB of RAM and 16GB of internal memory storage but does have a microSD card port which can expand up to 32GB. 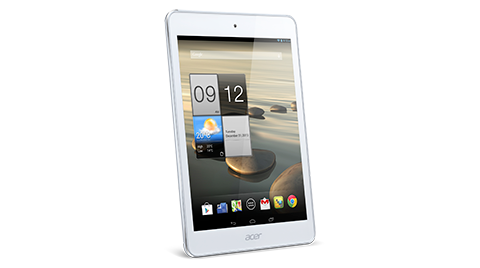 The Acer tablet also comes with GPS, a gyroscope, and with Bluetooth 3.0. Overall it’s not horrible hardware, but again, by today’s standards and with tablets like the iPad Air and Kindle Fire HDX 8.9 available, it’s nothing fantastic either. The design of it looks oddly reminiscent of the iPad Air. It’s relatively thin much like the Apple competitor and even carries the same white and silver colors. Overall, the design of the tablet looks quite fashionable. Small, thin, and sleek. 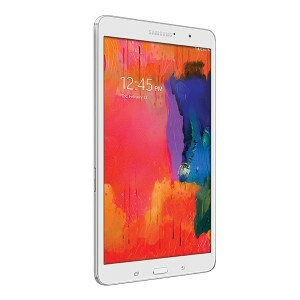 The front of the tablet is white plastic, while the back holds the silver strong aluminum cover plate. The corners come rounded for a smooth feeling all around. Boasting a 7.9-inch screen display and a 4:3 aspect ratio, the actual display screen isn’t bad and does come with some nice HD visuals. However, when in comparison to some of today’s slightly more high-end models, the pixels are a lot more noticeable. 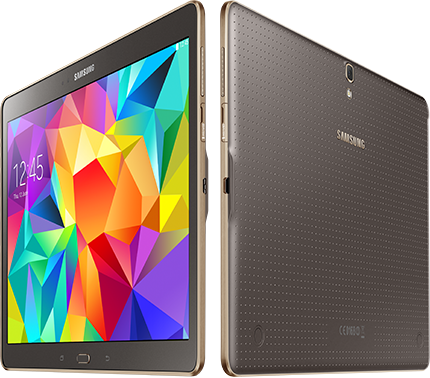 One of the best parts about this tablet is the actual price of the device. This tablet comes in at under $200 retail price. $179 to be exact. And you are actually getting what you pay for. You are getting a nice looking, but basic tablet. Don’t expect any added glitz, glam, bells, or whistles with this mobile device. That might be just the thing for the less tech savvy people out there who are looking to get into tablets, however. It’s better to not overwhelm with all of the extra stuff if you are trying to get someone to transition into using tablets or trying to get into them yourself. This product might just be the perfect stepping stone, but you don’t have to commit right away. Renting is easier and cheaper than tying yourself down to the product. Try before you buy just to be sure! 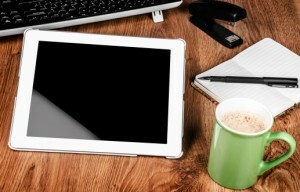 Android Is Overtaking iOS In The Tablet Market, But Should Apple Really Be Worried? It’s always suspenseful watching a fight among two giants play out. It’s almost like watching your favorite sports teams duke it out. You may be wondering how? Think of it like this. Every large electronics company is competing for one thing; your dollar bill. They want to out do their competition and be the best. It’s all a competition and it always will be. Some people are “fan boys” and “fan girls” as well. Basically, they favor one brand over the other. If we are looking at the two top tech giants out there, the two names that should immediately pop up are Apple and Android. Each of these brands has a huge following and it should come as no surprise that they are still competing. Apple has usually dominated the ranks, but recently Android has been making a comeback. iOS has always been on top since the release of the first iPad years ago. They have owned the market and with little to no effort. It was always the top operating system when it came to tablets. Not just with tablets though. Mainly any mobile device was using an Apple iOS software system. Android decided to come back and fight however, and has since made its name in the mobile market digging into the sales of the iPhone. Android hasn’t stopped at the phone market though, they decided to go for the tablet market as well, and no their persistence has paid off. A report from Gartner has shown some pretty incredible numbers for Android. 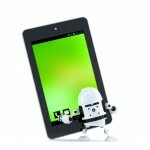 In terms of tablet sales for this previous year, Android took the crown over any other operating system. Not only did they increase their numbers, but they did it by a huge jump. In 2012, Android saw only 53.3 million units sold. In only a years time, 2013 would show Android an increase in numbers by more than half! The numbers for last year show Android at 121 million units sold. Mind you these are global sales, but that is still quite the increase. With numbers like this in just a yearly increase, and Android continuing to push the market in their favor, they are well on their way to knocking Apple out of their way. Having said that, Apple is still at the top in terms of it being a single manufacturer. Even so, seeing Android jump may be a bit nerve-wracking to the company. Apple did see quite the jump in tablet web usage in Canada and the US however. Any victory is a victory, whether it be large or small. Now comes the question of if Apple should really be that worried. What many people need to consider is that, this is just tablet operating systems and nothing more. Not to mention the fact that Android OS’s are spread over a multitude of different platforms, where as iOS stays strictly on Apple products. Since Android and sell their OS to other products, it’s much easier for them to gain headway in the market. While, yes you can see the OS’s switch with a bit of reprogramming, it is not very common. It’s all just a matter of deciding which OS is better for you. If you are on the fence about who you should be throwing your money at, try renting a tablet with iOS and a table with Android to see which suits you better!